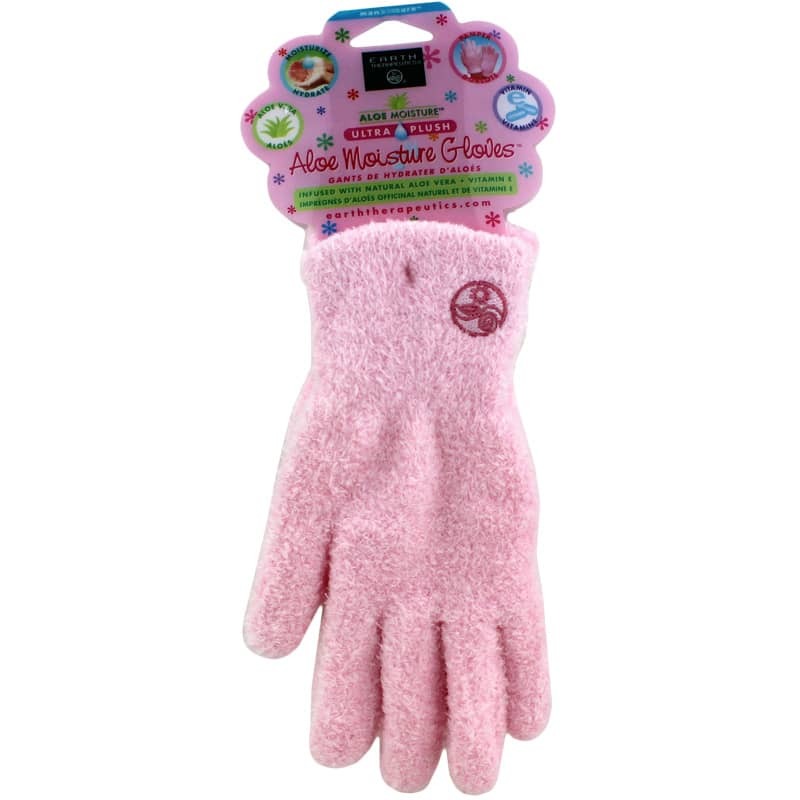 Aloe Moisture Gloves, Pink Ultra Plush from Earth Therapeutics continually moisturize your hands while surrounding them in plush comfort. 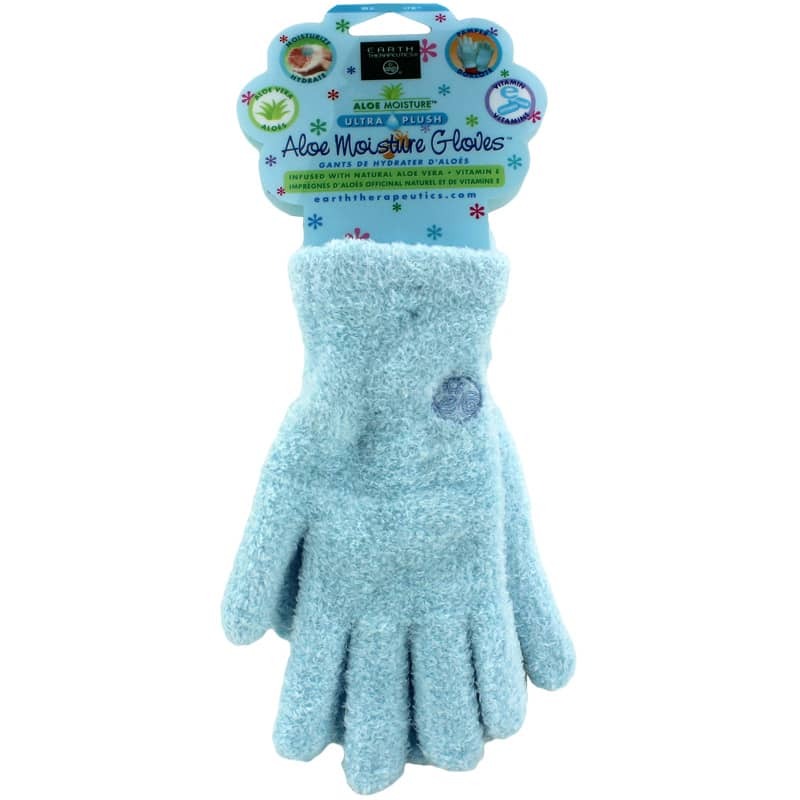 The gloves are infused with natural aloe vera and vitamin E to hydrate and soothe your hands. Containing 19 of the 20 amino acids your body requires for good health, aloe vera has traditionally been described as a powerful healing agent. However, as well as having a role in relieving burned skin, aloe vera may be useful in moisturizing dry, flaky skin. Vitamin E is added as it is rich in antioxidants and may reduce the affects of aging on your skin, as well as help moisturize it. The gloves are made of 97% nylon and 3% spandex and will fit most hand sizes. For best results, massage in your favorite hand lotion before slipping on the gloves to leave your hands feeling soft and smooth.